Late spring at the Arboretum means one thing: blackberries! Our open woodlands are filled with thorny blackberry canes and dewberry vines, and the fruits are usually ripe by late April or early May. 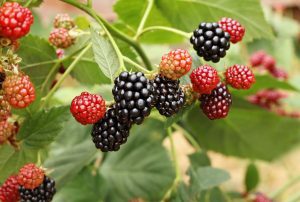 In this class, you’ll enjoy the rare opportunity to harvest berries and leaves from wild Arboretum plants and then help make some blackberry refrigerator jam for everyone to take home. You’ll also get to bring home the leaves to dry for tea. If our timing is off for harvesting wild berries, we’ll supplement with store-bought fruit. Wear walking shoes and dress for the weather.